The perfect handmade gift for alpaca lovers! 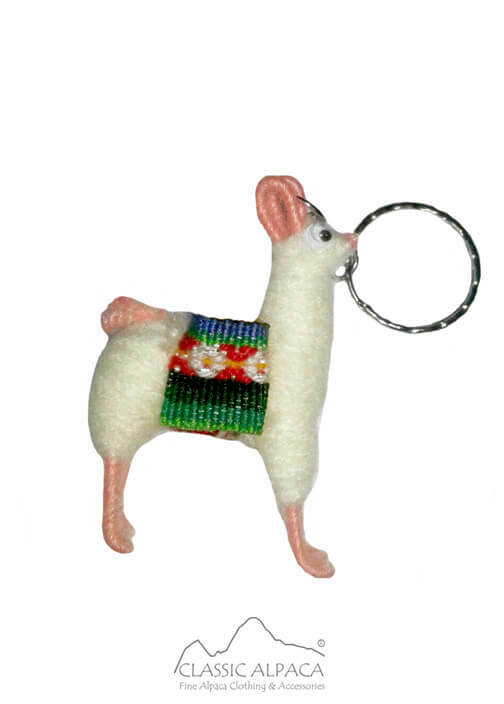 Fun and cute, this Llama key chain features googly eyes and a colorful Andean detail on the back. It is handmade by Peruvian artisans, available in different colors. This adorable key chain is one of a kind!